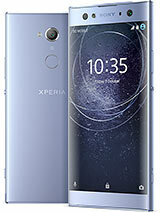 what software should i download for camera ZOOM function for XPERIA X8? i am using naite and planning to pgrade can it be a perfect substitute?? can it be a perfect substitute for my naite model?? i want to buy..but is it not too small..
Do not buy this from three. They say the maps and apps are free but they clearly are one from not. Three will tell you they ahve a return policy of fourteen days but in actual fact it is three days as they will explain when you go to return it. They will then refuse to take the phone back in. the attitude they give is attrocious. The head office which i had contacted is in a foreign country who do not seem to understand british laws. to use ur bluetooth, u need to click the icon that makes ur bluetooth discoverable. when you do dt and send music or videos to ur phone, you'll get a notification that a file is being sent to ur phone, check it and accept the file. wt all honesty transfering files to this fone is not as straight forward as my former W580i but i've been able to transfer loads of files without upgrading to 2.1 andr. app. above all, it's a lovely phone and i'm enjoying it. darel_sol, 11 Feb 2011hi..i cant send music or vid using my bluetooth..i downloaded app but i can only send pics..do... moreGo update your x8 to 2.1... its will slove your problem.. plus at se website there's a lastest update on 2.1..
i just got this phone and love it i am a big sony ericsson fan ,i have a iphone first but wanted a sony that did apps and stuff like the iphone and this was it im thrilled i just wish i could get some nice cases for it with flowers and stuff on it . hows the sound system and video on this fone?